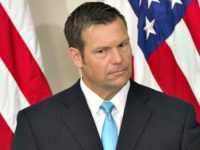 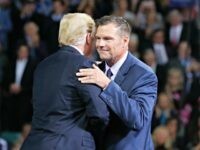 President Trump’s former immigration adviser and populist conservative Kansas Secretary of State Kris Kobach is leading in the state’s latest gubernatorial race, a new poll reveals. 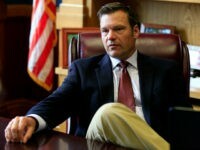 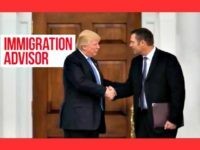 Kansas Secretary of State and conservative populist Kris Kobach blasted the big business approach to immigration policy that prefers importing foreign workers to take American jobs rather than hiring citizens. 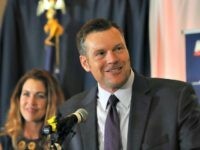 Kansas Secretary of State and conservative populist Kris Kobach fought back against open borders and big business talking points from his gubernatorial opponents during a debate in Johnson County, Kansas on Wednesday. 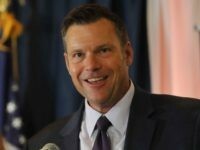 Kansas Secretary of State and GOP nominee for governor Kris Kobach says he will be “breaking the cycle of history” should he win.